After a workout session it's recommended to stop the workout manually for all users and don't wait for the system to automatically logout the users - this could fail if a chest belt is still turned on and transmits "empty" data to the system. Press the Menu button in the upper-right corner. 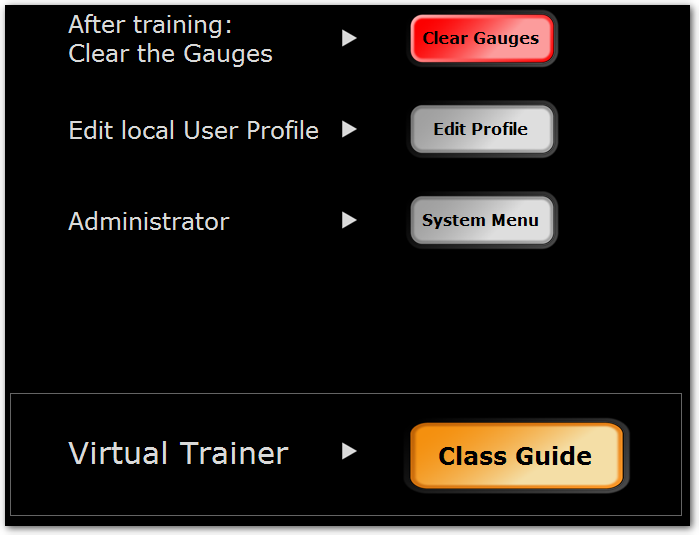 On the user admin page, press the Clear Gauges button. Now all gauges are removed and the heart rate is uploaded to myActivio.com.